China's economy grew by 7.5% in the second quarter, slightly faster than expected. 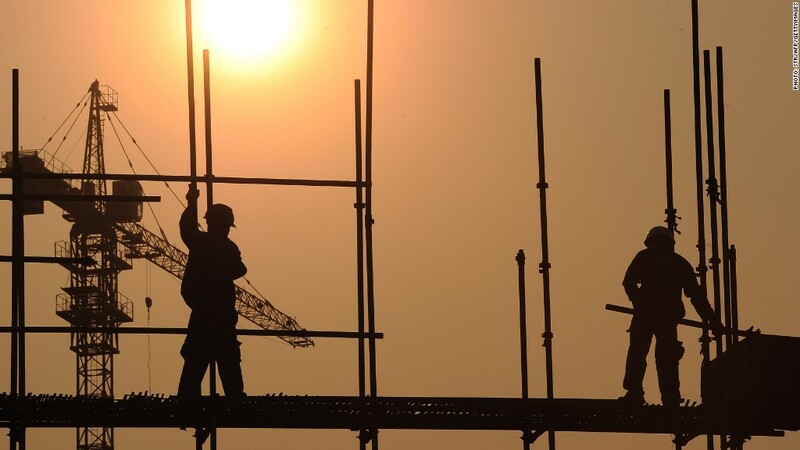 China's economy grew slightly faster than expected in the second quarter, amid continued worries over the country's all-important real estate sector. Gross domestic product in the world's second-largest economy expanded by 7.5% in the second quarter, compared to the same period last year, according to the National Bureau of Statistics. Economists surveyed by CNNMoney had forecast 7.4% growth. This is the first time the economy has accelerated in three quarters, and puts China on somewhat better footing to reach its official growth target of 7.5% for the full year. Economists expect a more moderate expansion at 7.3% for the year, according to a CNNMoney survey conducted earlier this month. "Today's data clearly demonstrate that policymakers have plenty of tools to shore up growth if necessary and we expect that further targeted measures may be rolled out to offset continued weakness in the property sector," wrote Julian Evans-Pritchard of Capital Economics in a research note. China's GDP growth remains the most comprehensive gauge of the country's economic health -- an important number to watch as the government works to reform the economy and shift to consumption driven growth after years of exponential expansion. China averaged growth of around 10% a year in the last three decades, pushing it up the list of biggest economies and boosting household wealth. By comparison, the pace of economic expansion is now languishing -- China recorded GDP growth of 7.7% in the last two years, versus 9.3% in 2011 and 10.5% in 2010. One of the major challenges facing the economy is the property market -- eight out of 10 economists surveyed by CNNMoney say it's the greatest hazard to continued growth. After years of breakneck development, the sector now suffers from excess supply, slack investment and falling prices. Stocks in Hong Kong and Shanghai had a muted reaction to the data release.